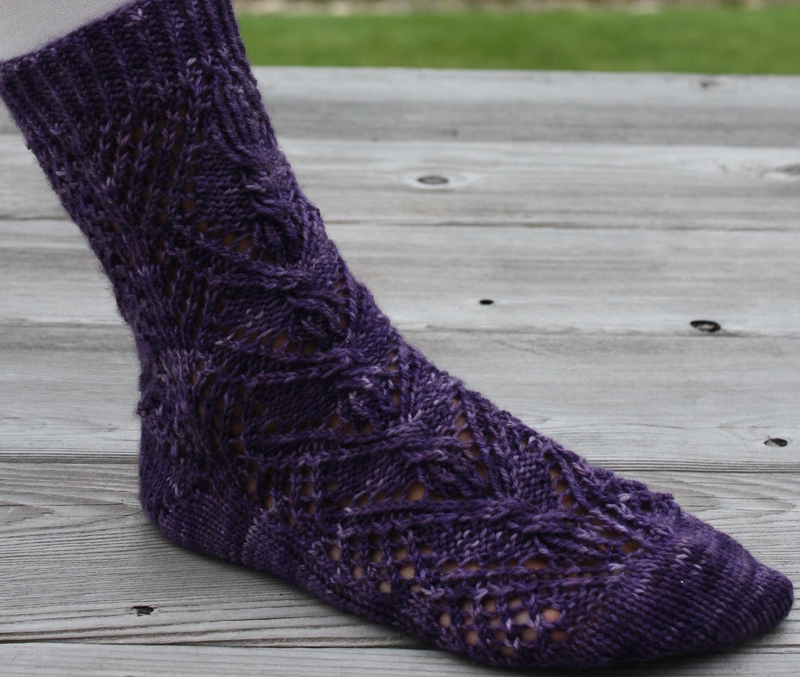 Victoria Socks | Kaleido by Silkie B.
Victoria Socks is a design inspired by my sister Vicky. It features lace panel with twisted cable center. The sock is worked in the round using magic loop method and work from toe-up. For more information and design behind Victoria, please visit my blogs. The Pattern includes detail written instruction of the socks, a detail charts to support the design, the instruction on Magic Loop method, the graphic instruction of magic cast-on by Judy Becker and the detail short-row heel instruction.